NGT imbroglio: Downstream people "to approach" a non-existent Narmada Tribunal? It was a sad Republic Day for the poor and vulnerable communities in the downstream of the Narmada Basin as their plea for protecting their fundamental and legal right to water and environment covered under right to life and liberty under Article 21 of the Constitution goes unheard by the National Green Tribunal (NGT). Ironically, this comes almost on the eve of Republic Day when we embark upon celebrating the adoption of the Constitution of India that champions the protection of life and liberty as cornerstones of fundamental rights. The alarming environmental deterioration in the 157 km river stretch including the Narmada Estuary caused due to insufficient downstream flows below the Sardar Sarovar Dam in Gujarat was brought to notice of the country’s Green Court by the Bharuch based Narmada Pradusan Nivaran Samiti (NPNS) and the Bharuch Citizen Council. While the Tribunal admitted the matter more than six months ago, it precluded itself from hearing the case on merits. In the Tribunal’s understanding since the Narmada Tribunal still exists (perhaps it’s referring to the Narmada Water Disputes Tribunal that ceased to exist as per the Award of 1979 itself), all the violations of existing environmental laws and inadequacy of the downstream flows can be looked into by the Narmada Tribunal. The NGT while passing the Order has also acknowledged that in addition to the Narmada Tribunal, there is a Narmada Control Authority but recommended to approach the “Tribunal” instead, that no longer exists. NGT was not approached as the first step in view of a series of environmental violations that have occurred in the downstream of Narmada Basin over a period of many years. 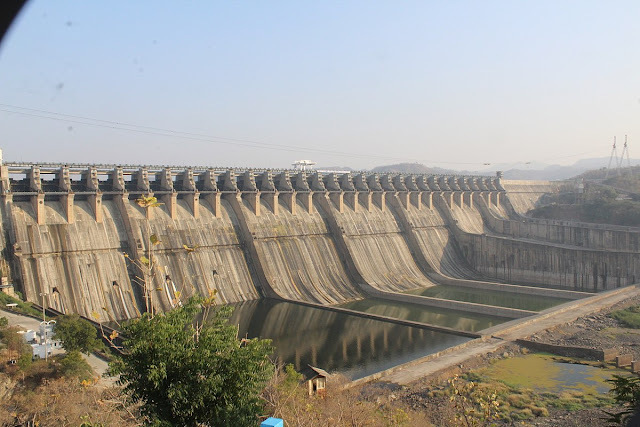 For more than two years numerous representations have been filed to all the authorities concerned with the Sardar Sarovar Dam that control the water and flows in the Narmada Basin. A plethora of letters and interdepartmental communications that have been doing rounds on the issue of serious environmental impacts of negligible flows from the Sardar Sarovar Dam had been placed on record before the NGT. All the concerned departments including the Narmada Control Authority mandated for implementing environmental safeguard measures in the entire Narmada Basin, the Sardar Sarovar Narmada Nigam Limited which is responsible for regulating the downstream flows and the Government of Gujarat have acknowledged that they were approached by the NPNS on the issue of downstream flows on earlier occasions. These agencies have also admitted that issues with respect to the severe impacts of negligible flows in the downstream exist and inadequacy of existing flow of 600 cusecs as highlighted vociferously in the media, VIP references, and numerous representations received from downstream communities is in their knowledge. Taking cognizance of the alarming situation a senior official of the Gujarat Government emphatically recommended to the Narmada Control Authority that an immediate release of 1,500 cusecs for downstream use shall be provisioned till the permanent solution for ensuring adequate flows could be arrived at. Several other letters have been written by the Member of the NCA itself to SSNL. These admitted violations and official recommendations over a period of two years formed part of the record before the NGT. However, NGT ordered that all the aspects of the matter brought before it be placed before and decided by the Narmada Tribunal, a non-existent entity. Where do people go now? The NGT has asked the impacted people to approach a forum that ceased to exist four decades ago soon after it delivered the Narmada Award in 1979. Even if the Narmada Tribunal trusted by the NGT was to exist, it could not have been able to provide any relief to the downstream cause of the River as it did not have the requisite mandate for addressing the grievances related to the environmental violations and downstream flow. The inter-state water dispute tribunals in the case of Narmada was constituted by the central government based on references made by the state of Gujarat on the issues of equitable sharing of Narmada waters among the riparian states. The Narmada Tribunal did not have any mandate on adjudication of environmental issues. Nor does the Award that it delivered have any environmental protection mechanism – a shortcoming that has been highlighted by the UK based hydrological expert agency in its Report that has been accepted by the Sardar Sarovar Narmada Nigam Limited. At the same time the Narmada Award of 1979 does provide that the states are free to allocate waters from within their shares and Government of Gujarat may release water for downstream use and even provides that the such flows for the downstream are to be released through the turbines. What is pertinent is that the Award of 1979 created the machinery namely the Narmada Control Authority (NCA) which was amplified to include various sub-groups including the sub-group on Environment Protection to look into environmental issues in the entire Narmada Basin that would arise in future due to impoundment of river Narmada. It is the NCA that has miserably failed to protect the downstream environment pari passu as was required by the Prime Minister’s conditional Environmental Clearance and as per the Narmada Scheme. The NGT’s Order relegates the downstream communities to the same agencies whose inaction has resulted in the violation of valuable right to environment of downstream communities. But now the difficult question before the poor downstream communities is where should they go as per the directions of the Tribunal since the forum it directs them towards no longer exist? And if we could listen to voice of Narmada, as it ceases to speak now without flows, who should the river go to when the regime instituted to protect it, namely the NCA and the other state agencies have failed to discharge their statutory obligations and since the country’s top Green Court established on the mainstreamed principles of international environmental law has ordered its cause to be taken to agencies that either are non-existent or are liable themselves of the state of the dead and dried up Narmada in the downstream.